Rooms with an earthly toned sophisticated decor equipped with modern amenities. Rooms with contemporary designs and decor along with countless amenities make the Apartment Shylee Niwas a must recommendation. 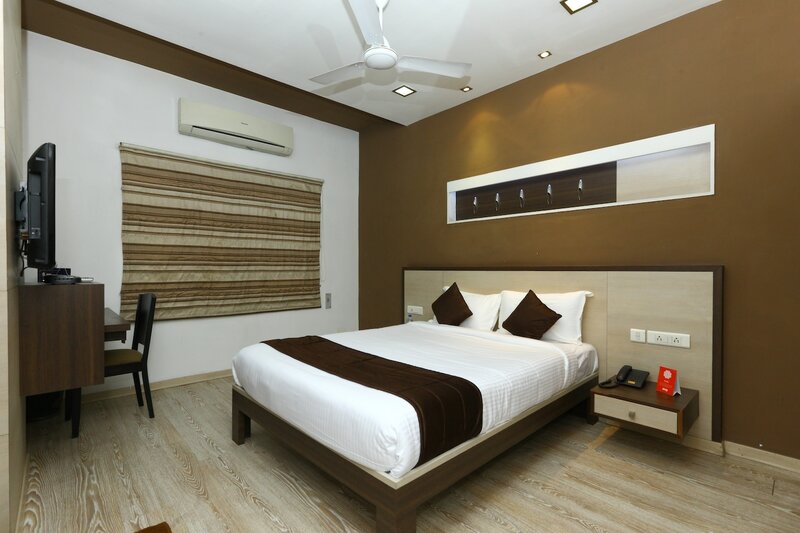 It is ideal for travelers visiting Chennai looking for a reasonably priced accommodation option. The rooms are well-furnished and every piece of furniture has a smooth wooden finish. Large windows have been provided in the rooms so that guests can enjoy a good amount of sunlight and fresh air. The decor of the room is noteworthy and is evident through the wise use of knick-knacks. The additional facilities provided by the hotel are CCTV cameras, card payment, free Wi-Fi, parking area, an elevator, and laundry provisions within the hotel.